In Joshua Harmon’s new play, Significant Other, Jordan Berman would love to be in love, but until he meets Mr. Right, he wards off lonely nights with his trio of close-knit girlfriends. But as singles’ nights turn into bachelorette parties, Jordan finds that supporting the ones you love can be just as impossible as finding love itself. The play takes an often funny and alternately heartbreaking look at what it’s like to be single when all of your close friends are marrying themselves off (and even worse than that - sometimes having destination weddings that you attend, even though it destroys your budget). 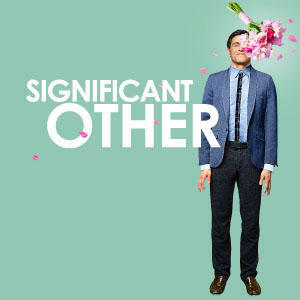 The Roundabout Theatre Company production of Significant Other, directed by Trip Cullman, has been in previews for a few weeks and officially opens at The Laura Pels Theatre in New York City this coming Thursday night. Roundabout Theatre Company’s relationship with Joshua Harmon began when his play Bad Jews was selected for the inaugural Roundabout Underground Reading Series for Emerging Playwrights in February 2012. 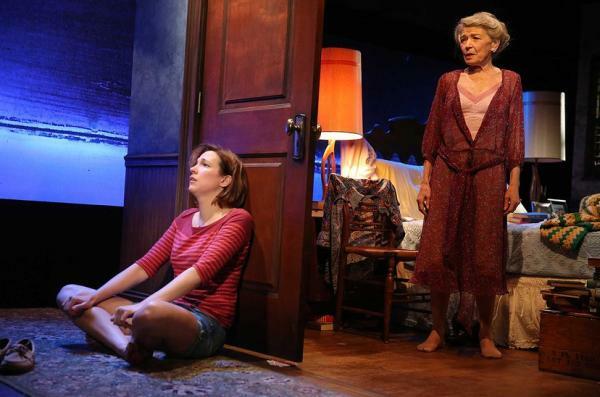 The play then premiered at Roundabout Underground’s Black Box in Fall 2012, in a sold-out extended run and then moved upstairs to the 420-seat Laura Pels Theatre - where Significant Other is performed now. We spoke with Joshua Harmon and Trip Cullman recently about Roundabout, the play, and working together. Trip Cullman is also directing Unknown Soldier - a new musical by Daniel Goldstein and Michael Friedman at The Williamstown Theatre Festival this summer (and this is the article about his apartment, referenced in the interview: Off Broadway Director Trip Cullman’s NoHo Loft). On the Twentieth Century is a luxurious madcap musical with book and lyrics by Betty Comden and Adolph Green and music by Cy Coleman - The Roundabout Theatre Company production of which is currently running at The American Airlines Theatre in New York City starring Kristin Chenoweth, Peter Gallagher, Mark Lin Baker, Michael McGrath, Mary Louise Wilson, and our guest, Andy Karl. 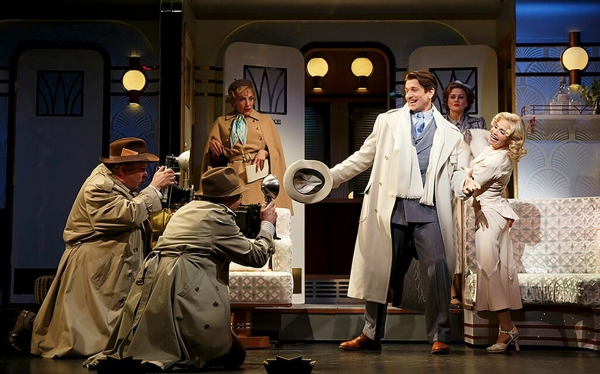 The new Broadway cast recording was released this week on P.S. Classics. Actor Michael Zegen In "Bad Jews"
The Roundabout Theatre Company’s Roundabout Underground program gives productions to emerging playwrights. 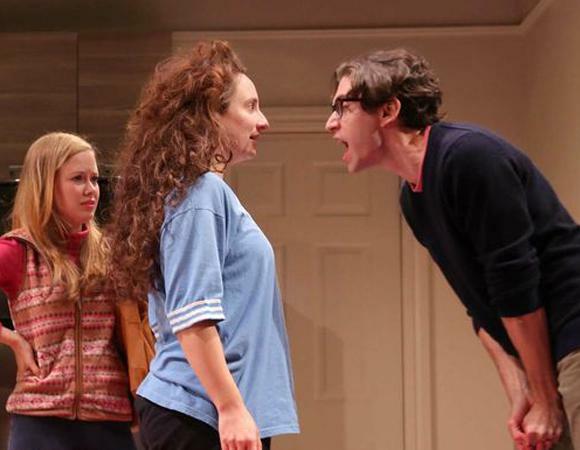 Last year, they had a hit with Bad Jews - a play by Joshua Harmon, directed by Daniel Aukin. The show did so well in their 62-seat Black Box Theatre, in fact, that they brought it back to run in the Laura Pels Theatre (their bigger-small space) as part of their season this year - where it continues to earn excellent reviews and enthusiastic response from audiences. In the play a young Jewish woman, Diana (played by Tracee Chimo, she prefers to be called by her Hebrew name, Daphna) fights with her cousin, Liam, to get a religious relic left behind by their recently deceased grandfather - who had kept it safe during his years in a concentration camp by holding it beneath his tongue. Liam’s brother (Jonah, played by Philip Ettinger) and girlfriend (Melody, played by Molly Ranson) observe and reluctantly weigh-in as Daphna and Liam argue and insult-sling as only family can. Michael Zegen plays Liam in Bad Jews. Zegen attended Skidmore College and his other Off-Broadway credits include Liz Meriwether’s Oliver Parker! and Greg Moss’ punkplay. On television he’s been featured in recurring roles on The Walking Dead, Boardwalk Empire, How to Make It in America, Rescue Me, and he’ll appear in the upcoming season of the HBO hit, Girls. His film credits include Adventureland, Taking Woodstock, and Frances Ha. Following the death of her husband, Rose locks herself in her bedroom for the better part of a year, leaving her daughter Emma to care for her through the closed door. When the church sends a pastor to help coax Rose out of her room, he soon finds that Rose is not the only one using barriers to hide her true feelings. This is the plot of Too Much, Too Much, Too Many - a new play by Meghan Kennedy that is currently being produced by the Roundabout Theatre Company’s Roundabout Underground - a program that showcases new plays that will either allow an experienced director to go back to their creative roots or give a debut production to an emerging writer or director. Too Much, Too Much, Too Many is directed by Sheryl Kaller, the Tony nominated director of the critically acclaimed Broadway production of Next Fall by Geoffrey Nauffts. She has directed at many theaters including Primary Stages, Williamstown Theater Festival, and New York Stage and Film. She has directed and developed new plays and musicals with writers including Christopher Durang, David Henry Hwang, Nick Blaemire, Billy Porter, Alan Menken, and many others. Albany, NY – Sarah LaDuke speaks with Greg McCaslin, Director of Education@Roundabout.